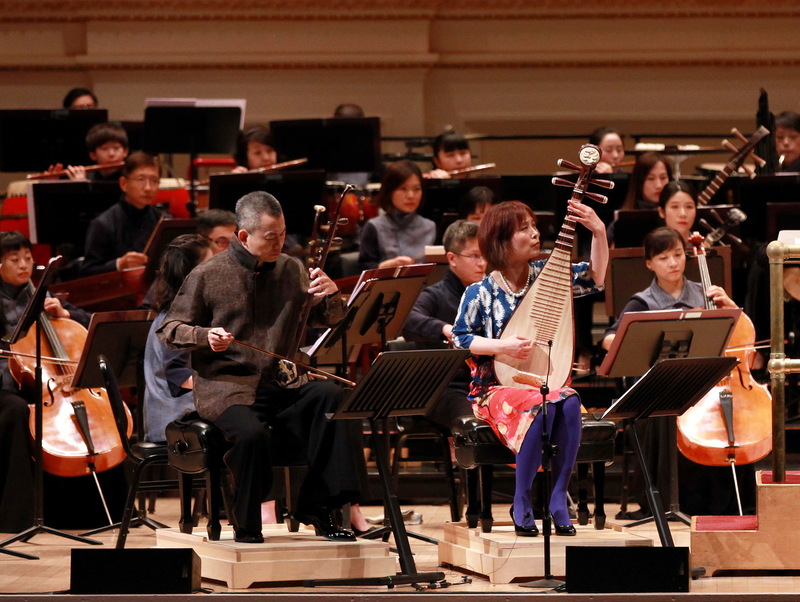 Chinese Grammy-winning Pipa virtuoso Wu Man took the stage performed with the Taipei Chinese Orchestra on Tuesday, November 6 at Carnegie Hall to give the U.S. premieres of two concertos scored for traditional Chinese instruments. Taipei Chinese Orchestra established in 1979, is Taiwan’s first professional Chinese orchestra. The orchestra has toured over 20 countries and has performed for more than 100,000 music lovers annually. 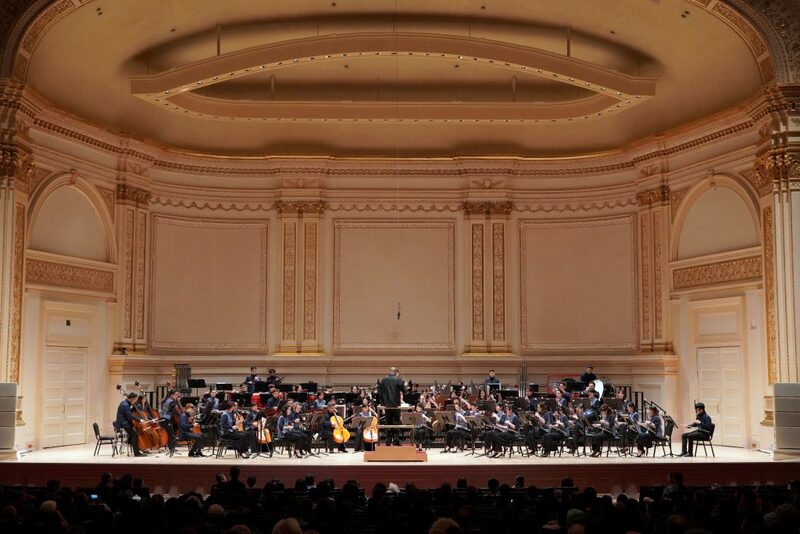 The concert marks the Orchestra’s Carnegie Hall debut and includes two additional U.S. premieres of works by Chinese composers, Taipei Chinese Orchestra General Director Cheng Li-Pin conducting. Wu Man joined this large ensemble of traditional Chinese strings, winds, and percussion to perform Qu Wenjun’s pipa concerto Soul of the Loess (1994) and Cheng Kuang-Chih’s double concerto for erhu and pipa Yao Ji (2016), in which she appeared alongside Concertmaster Wang Ming-Yu. The rest of the Orchestra comprised bowed strings, including two groups of erhus; winds, such as the soprano, alto, and bass shengs; and percussion. 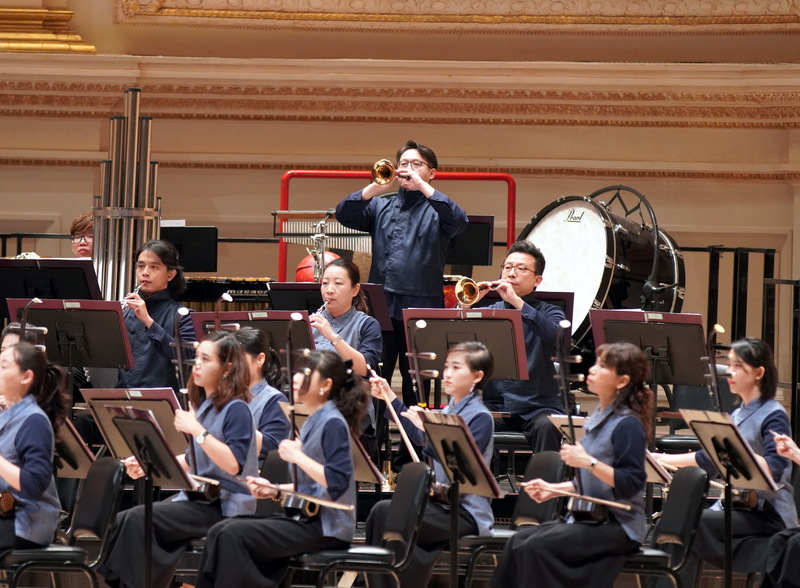 The concert also included three encore songs featuring Taiwanese folk songs “Craving for the Spring Wind” “High Green Mountain (Gao Shan Qing)” and the music of operetta “Candide,” as written by U.S. composer Leonard Bernstein.